The red wolf (Canis rufus) is one of the world’s most endangered canids. Once common throughout the eastern and southcentral United States, red wolf populations were decimated by the early part of the 20th Century as a result of intensive predator control programs and the degradation and alteration of the species’ habitat. The red wolf was designated an endangered species in 1967, and shortly thereafter the U.S. Fish and Wildlife Service initiated efforts to conserve the species. Today, more than 100 red wolves roam their native habitats in eastern North Carolina, and nearly 200 red wolves are maintained in captive breeding facilities throughout the United States. Two agencies are responsible for the protection and recovery of this species, the North Carolina Wildlife Resources Commission and the US Fish and Wildlife Service (USFWS). Recently the USFWS released a report evaluating the red wolf recovery program. While some shortcomings and challenges were noted the report outlines opportunities for success. Despite 27 years of population growth and advances in research the NCWRC has arrogantly decided that the Red wolf has no right to exist. This tragic and politically motivated stunt comes on the heels of the NCWRC being forced to no longer allow night hunting of coyotes, a move which precipitated the deaths of several red wolves. The NCWRC has passed a resolution asking the USFWS to remove the Red wolf from the endangered species list and declare the species extinct! If you believe in the rights of species to exists, the integrity of the Endangered Species Act, and the mission of the USFWS to recover endagered species then TAKE ACTION! Tell the USFWS not to let NCWRC undermine its mission and destroy the wildlife it has vowed to protect. Posted in Biodiversity Protection, Defending Wildlife, Endangered Species, Latest News, Take Action! I am an tax paying NC citizen and I believe in the Endangered Species Act. Please respect this act and reverse your decision of killing these rare Red Wolves. The Red Wolf (Canis rufus) has an equal right to exist on this planet alongside humans (Homo sapien). To declare this species extinct and to throw away decades of conservation is irresponsible and disrespectful. Biodiversity boosts ecosystem productivity where each species, no matter how small, all have an important role to play. We have a responsibility to protect life on this planet, whatever the cost or obstacle. To give up on this program to restore red wolves to their natural habitat would echo the sentiment to future generations that not all life is created equal and the whims of mans folly outweigh the value of the natural environment- nature bats last. Continue the protection of Red Wolves in NC. They exist! 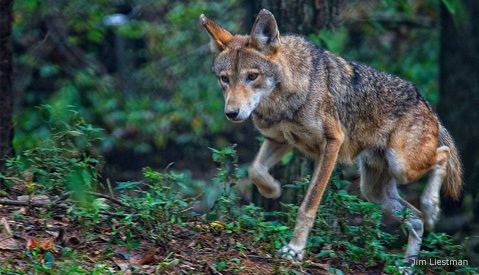 The Red Wolf will balance the ecosystem and curb Coyote numbers. The critics of the recovery program are just disgruntled coyote “hunters” who kill for sport. gordon.meyers@ncwildlife.org and tell him that the recovery must continue. NCWRC is being swayed by folks who are hysrerical over coyotes and want no limits on killing them.